The news was all over the Internet Thursday evening: Steve Jobs hasresigned as CEO of Apple Inc., handing the reins to Tim Cook, who hasbeen ably running the company during Jobs' medical leaves. Jobs willstay on as Apple's chairman of the board. Steve Jobs was one of the two people who invented AppleComputers in the mid-1970s and was forced out in the mid-1980s. Since his return in late 1996, he hasreshaped a company that many had written off. The word most frequentlyused for Apple in that era was "beleaguered" - a far cry from being oneof the world's most valuable companies today! With Jobs staying on theboard and a seasoned staff in place running things at Apple, we'reconfident the company will be around for decades to come. Today we're asking our staff to look back at Jobs' latest tenure atApple. What single thing would you point to as the highlight of thisera? And what would you see as Jobs' biggest mistake in the past 15years? And what do you see as the biggest challenge facing Apple asJobs lets go of the reins? Steve Watkins (The Practical Mac):Steve Jobs' greatest singlecontribution to Apple (and the world) are the iDevices in general - andthe iPhone inparticular. Getting these devices in the hands of millions of consumerswho would have not otherwise considered buying a Mac exposed Apple'sunique brand and experience to an unprecedentedly large audience. Andit caused many of those to consider buying a Mac (and the sales figurestell us that more than a few of them did make the switch). Sure, theiMac and Mac OS X made Apple profitable again, but the iDevices ensuredits dominance, a word no one would have associated with Apple when theera of Steve II began. Until a couple of years ago, I thought his biggest mistake waskilling the Mac clone businessrather than just temporarily discontinuing it, revamping it in afashion more favorable to Apple, and rolling it back out. I alwaysthought this approach would grow the Mac OS market share quickly. Thewild success of the last couple of years has led me to question whetherSteve's handling of the clone business was truly a mistake. After all,no one can argue with the success Apple enjoys today. If this is notconsidered a mistake, then I would have to say my answer to Steve'sbiggest mistake is "none". Apple's biggest challenge is replacing Steve's unquestionedmarketing genius. Sure, Jonathan Ive designedmost of Apple's successful products, but you have to realize that Jonydid not just pull theiMac out of hat and place it on Steve's desk. Ive created severalmockups (this is true of all his designs, and of most industrialdesigners); Jobs picked the one that went to market. Ditto for theiPhone and the iPad. This sixth sense of knowing what people wantbefore they want it is what will be hard to replace. Regardless of how Apple handles the transition, my thoughts andprayers are with Steve and his family. I hope he is able overcome thislatest challenge with the same strength and courage with which he hasfaced down others in the past. Brian Gray (Fruitful Editing): Pickjust one event or product from thepast 15 years? What a task! I think the iPod is one of the mostimportant developments from the past decade-plus. Apple certainlydidn't invent the MP3 player, but under Steve Jobs' direction, Applemade it simple, cool, and eventually affordable. 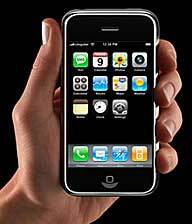 The original iPodbegat iTunes music and movie purchases, and the iPhone and iPod touch,plus numerous other additions to small multipurpose devices, such asvideo recording. Tim Nash (Taking Back the Market): Soonafter the weekend, the invitations to an Appleevent will start rolling out, the speculation will start anew, and thestories about Steve and the premature obits will die. Apple under Stevewas great on news management, something else that Tim Cook willcontinue. AdamRosen (Adam's Apple): The biggest successhas got to be the iDevices and theecosystem around them. Starting with the oldest: The iMac brought thesimplicity of theoriginal Macintosh to the Internet era (and ushered in the iAge).Then the iPod allowed Apple to evolve from a computer company to aconsumer electronics company, setting the stage for the iPhone andiPad. Biggest mistakes? 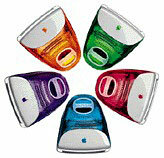 Not many: The puck mouse with that original iMac.An iPod shuffle with no user controls. MobileMe. But hits far outnumbermisses. Austin Leeds (AppleEverywhere): As the proudowner of two "new" (to me) iMac G3s (333 MHz Lime and 350 MHz Blueberry), I canclearly see the impact these evolutionary computers made. In many ways,the iMac was the even better sequel to the Macintosh, just as thereturn of Jobs has been more celebrated than his original stint atApple ever was. Jobs returned to Apple a little wiser than he left it,and that acquired wisdom, when meshed with his impressive foresight,has produced the finest computers ever made for more than a decade. It's hard to pick one highlight of Jobs' era, so I'll pick the twomost important: The introduction of the iMac in 1998, which ushered inthe Jobs era, and the introduction of the iPad, the last new productunveiled during his time as CEO. These two computers may seem vastlydifferent - the iMac has a CRT, the iPad an LCD; the iMac is mostlyplastic, the iPad mostly aluminum and glass; the iMac is the epitome ofthe PC, the iPad marks the end of PC dominance - but they are reallyidentical. They're mile markers along the road of technologicaladvancement, and quite noticeable ones at that. They've made their wayinto our culture, our everyday lives, and our hearts, and they will notsoon be forgotten. These two computers, along with the original Mac, will be SteveJobs' legacy - not the slowly fading iPod, not the too-replaceableiPhone, not any of the other computers in the Mac line. These threerepresent the best of Apple, and they will be in the hands, minds, andhearts of users for years to come. On a less serious note, I have to disagree with the disparagingcomment leveled at the original Apple USB mouse earlier. Personally,I'm starting to like my little hockey puck - it's got a look and feelall its own, especially now that I've cleaned it up and restored it toits former fruity glory. I've never liked the oblong Apple Pro Mouse orApple Mighty Mouse - there's no tactility to them, nothing that says,"Hey, click me!" Steve Jobs' biggest mistake? Convection cooling. Sure, it's nice tohave silent machines, but that obsession with silence doomed the AppleIII to a fiery death. I personally don't mind the fans - gives mefeedback that I'm not just waiting for a dead machine to magicallystart up. The biggest challenge awaiting Apple will be convincing itsinvestors and customers that the current team at Cupertino can keeppressing forward with Jobs' vision, and that they can pass that visionon to the next team. Jobs and Woz started the ball rolling - it's timefor a new generation to keep that ball rolling. Steve Watkins (The Practical Mac):My wife and I both liked the "hockey puck"mouse. Glad to see it has at least one more fan! Adam Rosen (Adam's Apple): LOL!Well, Steve and John Ive would be glad toknow that some people liked it The puck mouse replaced the oval-shaped,extremely-clickable (and controllable) ADB Mouse II. Nearly everyone I came across either got quickly replaced or had a snap-on plasticcover attached to change the shape. Austin Leeds: The Mouse II was great, no doubt, but it'sspiritual successors have none of its charm, unfortunately. Dan Knight (Mac Musings):I have to agree completely on the ADB Mouse II,probably the most ergonomic mouse Apple ever produced. The original Macmouse was chunky, and the first ADB Mouse was quite good, but the roundUSB mouse and subsequent lozenge-shaped ones? No thanks! Austin Leeds: How about the Magic Mouse or Magic Trackpad?I've really enjoyed the trackpads in the new MacBook Pros. Dan Knight: The Magic Mouse has the same clunky lozengeshape, which I simply do not find comfortable. Then again, I've beenusing Kensington and Logitech mice for years. I haven't used the MagicTrackpad, so I can't comment on it. Simon Royal (Tech Spectrum): I lovedthe Puck mouse. Leaman Crews (Plays Well with Others):Wow, unbelievable amount of love for the puckmouse around here. I and everyone I know who used the puck mouse hatedit. It was nice to look at, a horror to use. Macally ADB and USB mice. The first one I had (with a Bondi iMac) didn't even have the littleindentation at the top so that you could tell which end was up andweren't "clicking" the bottom of the mouse. Fortunately, when I got my Blue & White G3, the mousewas the new revision with the indentation. But both mice were replacedshortly thereafter with Macally mice (one USB and ADB) that were shapedlike the ADB II mouse, but had two buttons! Wish I could find those old Macally mice . . . the ADB one was oneof the few multibutton ADB mice I ever saw, and was handy for ADBmachines that could run OS 8 or higher (you know, with contextual menusupport!). Alan Zisman (Zis Mac):I got a tear-shaped plastic cover for my(tangerine) puck mouse - clipped over the top and gave it a not-roundshape. Came in a variety of fruit-flavoured colours. Allison Payne (The Budget Mac):There's little doubt that Steve Jobs being atthe helm of the company was a major factor in both its momentum andfairly cohesive trajectory over the past 15 years. Though thetechnology hasn't always quite been where it he needed it to be to pulloff the most ambitious moves (i.e., MobileMe), the company hasweathered both the stumbles and great leaps with energy andfinesse. Unlike nearsighted Wall Street traders and some tech bloggers, I'mnot terribly concerned about Apple diverging from the path Steve hasset it on for years to come. He may no longer be CEO, but he'll stillbe advising as long as his health allows. Tim Cook is a close friendand loyal lieutenant who shares his passion and vision, and JonathanIve is doing his dream job, having virtually unlimited resources tocreate works of svelte industrial art. I don't see that changing justbecause Steve is no longer the nominal head of the company. The challenges Apple will face over the next 15 years are tocontinue producing excellent computers and services, not losing sightof its time-tested financial strategy, and maintaining a good publicimage in the face of various scandals that plague most largemanufacturers but are amplified in the media due to Apple's highprofile. Dan Bashur (Apple, Tech, and Gaming):If I had to pin it down to one single thing thatwas the most significant during this last chapter of Apple with Steveat the helm, it would have to be Apple's decision to change to Intelprocessors. A close second would be more in line with Adam's analysis -the unveiling of the iMac and the iDevices that would follow - butwithout Intel running our Macs, where would Apple be today? As much asI love every one of my PowerPC Macs, and as different as they "think"compared to Intels, they can only hope to poorly emulate Windows andcan expect to fail running any games and other applications that werewritten for x86 machines that required anything more than a bare bonesPentium II. With Intel, all of that changed. As much as the decision to switch to Intel made Mac purists cringe,suddenly you had the best of both worlds running an Intel Mac, gainingthe ability to run all the software designed for Mac OS X and Windowsat full speed with much faster and much more efficient processors! Withthe PowerPC platform, Virtual PC was about as good as it got, and itleft much to be desired. Steve knew that Intel had a bright future withApple and knew the residual benefits of embracing it. Apple's share ofthe market and Mac sales growth after introducing Intel processors is afull testament to this decision. As far as any single mistake I could say that Steve has made as CEO,it would probably be the failure to implement next generationmultimedia. Blu-ray (which Steve himself called "a bag of hurt"), 1920x 1080p full HD displays, WiDi (wireless display interface), and 3D display technology arejust a few things that can be done on Wintel machines that Apple haspassed on. Recent Sony Vaio laptops can even display content streamingfrom a PlayStation 3 over Remote Play! Think about how amazing it wouldbe to watch Avatar (among other 3D films) in full 3D/1080p HDfrom the comfort of your bed without purchasing a new 3DTV?Stereoscopic gaming anyone? Better yet is WiDi 2.0, which came with thefairly recent Intel Sandy Bridge chipsets, that allows you to evenstream Blu-ray wirelessly! Unfortunately, Steve and company have always been content keepingthe status quo with the dated SuperDrive while promoting streaming-onlyHD video solutions (with no Apple provided Blu-ray options). Pushingthe cloud is clearly Apple's desire to push iTunes sales (removal ofthe optical drive in the consumer Mac mini in addition to theexisting sans-optical drive MacBook Air while killing thewhite plastic MacBook withits optical drive is enough evidence for that). People still want aphysical copy, and the technology to stream HD content at an acceptablerate is not yet there at the consumer level. Even armed with a 15 Mbdownstream connection (that was running near full speed at the time), Ihad to wait roughly 2 hours before an 8 GB HD film, Harry Potter andthe Chamber of Secrets, fully downloaded on my PS3 this pastweekend. Constant buffering is not an acceptable way to watch HD videoinstantly! Next time will be a trip to a local used game and videostore. When DVD was new, Apple was scrambling to be one of the first tomarket with a DVD-R drive and DVD playback (certainly a novelty forearly PowerBooks). A very large market share focused on consumption andentertainment could have been shifted away from Windows machines hadApple been an early adopter of the newest multimedia technologies.Arguably, iOS devices have begun to fill that void, but once again youwill be limited to the cloud and the fixed storage you haveavailable. Where to next for Apple? Aside from a few minor gripes, Steve hassteered the ship quite well. The company has more cash on hand than theUS government! Steve pushed for amazing product designs, innovationsthat have re-imagined the way we compute and consume digital content,along with promoting edgy ad campaigns. The biggest challenge goingforward is more than likely an identity crisis without the man in themock turtleneck doing the presenting. The two biggest strategies forTim Cook to overcome these concerns would be another overdue design andmedia blitz. Apple has stagnated as of late in the Mac department in terms ofdesign, innovation, and panache. The MacBook Air, Mini, and iMac are all highly regardedaccomplishments, but the MacBook Pro could definitely use a shot in thearm by adding the technologies mentioned above that Apple has missedout on, making the "Pro" line even more so. The Mac Pro could use the added tech aswell, along with a new case design just to stir the pot (it hasn'tdrastically changed since the introduction of the Power Mac G5 in 2003). Inaddition, Apple should do a fan poll of the most missed designs Applehas done (since the G3 iMac) and bring back the winner as a limitededition with modern hardware built in (think Pismo with easy expansionand upgrade paths, Cube, Clamshell iBook, iMac G4, MDD G4, etc.). Fromthere, Apple could also introduce another limited edition creativedesign of its own every year or so to shock the media and public.Limited and awesome design = attractive and collectible, while beingvery functional! Finally, the media blitz is absolutely necessary if you want to runa company like Apple with it's attitude and cutting edge products. If Iwere Tim Cook, my very first order of business would be to make a hugebang with Apple's return to the Macworld convention, where Tim (alongwith many other third party vendors) could introduce new products to agigantic fanfare reminiscent of the old days that drew elbow-to-elbowcrowds and celebrities not unlike the E3 and Comic Con conventions. E3has made a resurgence, especially with virtual showrooms and livecoverage over the Web and outlets like the PlayStationNetwork. In addition to Macworld, the sleek ad campaigns need to returnfocused completely on the Mac (something fresh but along the same lineas the G3/G4 era ads, "Think Different" campaign, and Mac vs. PC).These ads would be aimed at prospective Mac buyers, rather than iOSdevices which already have plenty of coverage. If Tim and Apple playtheir cards right, it will be a very exciting time for the company tousher in a new era, while expanding market share and bringing back manyof the great concepts that kept the company edgy with a modernspin. Charles Moore (several columns):Not many people can lay claim to theirachievements having profoundly changed the world, and among those whocould, even fewer have live to witness the full effects of therevolutions they launched. Steve Jobs has done both, not just once butserially, which is what makes him a truly extraordinary phenomenon. There was the formation of Apple computer with Steve Wozniak andephemeral partner Ron Wayne. Then the Apple II, the first reallyuser-friendly personal computer. 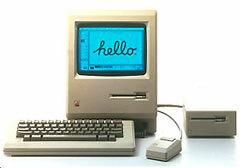 Then the PC landscape-alteringMacintosh. Even Job's NeXT Computer,judged a failure by some, was arguably the best PC on the market at thetime (also among the most expensive), and it's operating system liveson in Mac OS X and the iOS. Meanwhile, there was Pixar, whichrevolutionized film animation, and the rebooting of the Mac brand withthe original iMac and the iBook in 1998 and 1999. The iPod, the iTunesMusic Store, metal-skinned and later solid metal laptops, the iPhone,the iPad, and the imminent iCloud - and he's lived to see it all cometo fruition. It boggles the mind when you stop to review and think about it. Thisweek I've seen Jobs compared to Michaelangelo and da Vinci. That's abit extravagant, since Jobs is a conceptual visionary but not really anartist. He's probably more a combination of Thomas Edison and HenryFord, who took existing technological ideas, refined them, and madethem commercial successes, along with a dollop of P.T. Barnum. Whatever, we won't see the like of him again soon. That said, I dofind the eulogistic tone and theme of much of the commentary on Jobs'resignation this week in poor taste. Jobs is still kicking, and I won'tbe surprised if he continues to for some considerable time yet. Let'sput a hold on the canned obituaries, however benevolently intended. Dan Knight: Of all the things he's ever done, I think SteveJobs will be best remembered for creating Apple, a nonconformistcomputer company in an industry where conformity isn't just the norm,it's almost a requirement. 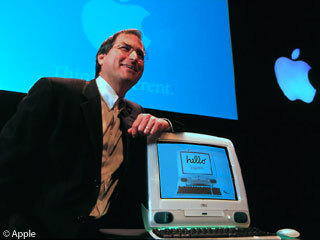 Between 1985, when Jobs left Apple, and1996, when he returned, the Mac and Apple changed significantly. TheMac went from a single iconic model into such a wide range of modelsthat nobody could keep things straight (sometimes the exact samehardware had three or more model names), and Apple got into printers,monitors, digitalcameras, PDAs, network servers, and other areas that dilutedits focus. The second coming of Steve Jobs brought the focus back. Jobs killedoff Newton, got out of the printer business, and streamlined theMacintosh line by cutting back to three models: the consumer iMac, thepro Power Mac, and the PowerBook. There were a few variants of each,such as different colors (for the iMac) and different speeds, and the"Mac matrix" was incomplete until the iBook arrived in 1999,but the laser-like focus has remained even as Apple has added newproducts, such as the MacBook Air, while discontinuing dated ones,including the recently discontinued polycarbonate MacBook. I'd have to say that the biggest thing Steve Jobs has done for Appleover the past 15 years is help it rediscover its purpose, which hasalways been to make technology accessible to "the rest of us" -non-geeks. From the external design to the tiniest details of thegraphical user interface, Apple puts polish on its products, and it hasgrown so big that the PC industry is finding it impossible to competewith the MacBook Air and iPad on price, yet Apple also has industryleading profit margins. Steve Jobs has made a few mistakes. I think he has a thing forEuclidean forms, as seen in the round puck mouse and laterlozenge-shaped ones, the NeXT Cube andPower Mac G4 Cube, andthe hemisphere base of the G4iMac. The Cubes (NeXT and Mac) were beautiful, but neither one wasa commercial success. On the other hand, the original iMac designlooked like something out of The Jetsons and has become iconic,just like the original all-in-one compact Mac. One overlooked thing that Steve Jobs did was kill the rainbow Applelogo, reducing it to its shape, and using it everywhere so it hasbecome one of the most recognizable brand icons on the planet. WhileApple lovers will quickly recognize a Mac or iPhone in a movie or TVshow based on their design (and also see that the producers have oftenhidden the Apple logo), that logo shows up everywhere. Where theoriginal version signified the Apple II as the world's first personalcomputer with color, the simplified version shows the same laser focusthat goes into hardware and software design. Steve Jobs' legacy is Apple's legacy and vice versa. He has createda company that can not only run with the vision that he has shaped, butwill also be able to adapt itself to our ever-changing world. UnlikeHP, which has been the world's leading PC brand for years, Apple isn'tever going to have to stop making computers and portable devices toremain profitable. The company is rich in finances, history, legacy,and vision. Long live Apple! Long live Steve Jobs!